ENEA-Fusion: Fusion Technologies: Vacuum & Surfaces Lab. High-vacuum furnaces for complex brazing between metallic, ceramic and composite materials. 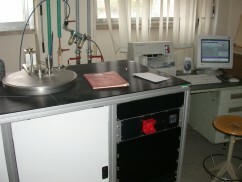 Apparatus for studying the degassing of materials.